Read here about tensegrity structures and concepts related to clothing. 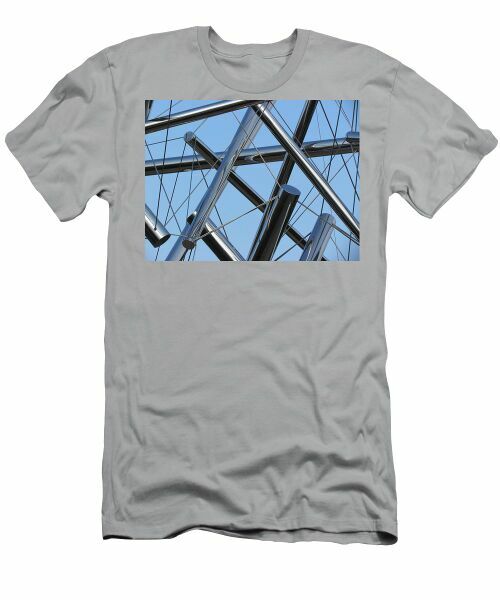 Tensegrity structured clothing is rare since conventional clothing is composed entirely of tension components, being textile threads, weaves or materials, and the human form to which the clothing is fitted provides the compression. An assortment of clothing related to tensegrity. Sérgio Teixeira Da Fonseca and Renato Guimarães Loffi filed in 2012 for a patent on a garment that provides support. 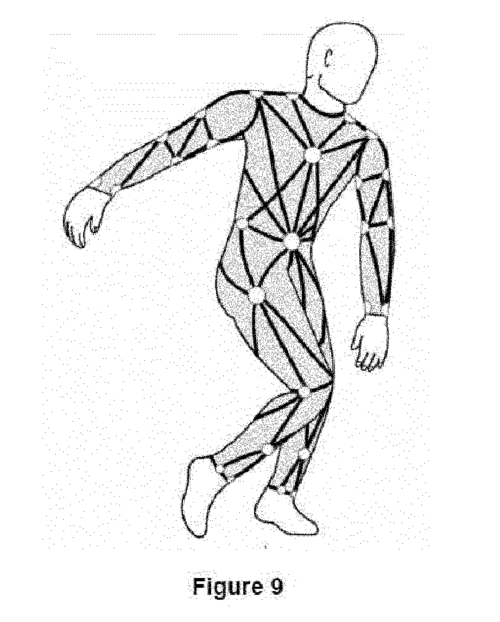 The support is deployed along musculoskeletal lines as defined by a tensegrity understanding of the human body. Illustration from Da Fonseca, Loffi patent. See https://patents.justia.com/inventor/renato-guimaraes-loffi. T-shirt with photograph by David T. Wilkinson. For more about tension and clothing, see the Textiles as Tension Technology essay. This page was last edited on 20 November 2018, at 10:35.